Dr. Otha Sullivan (Jackson, MS) received his doctorate in education from Wayne State University in1973. He is a former science teacher in the Detroit Public School System, and is currently a professor of Education and Psychology and the Director of the ACHIEVE Mississippi Project at Alcorn State University. 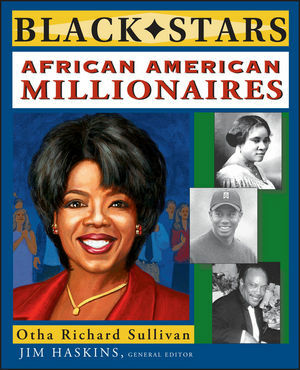 Dr. Sullivan is the author of African American Inventors and African American Women Scientists and Inventors, both volumes in Wiley's Black Stars Series. Jim Haskins (New York, NY), is the general editor for the Black Stars series and the award-winning author of over 100 books for young readers.